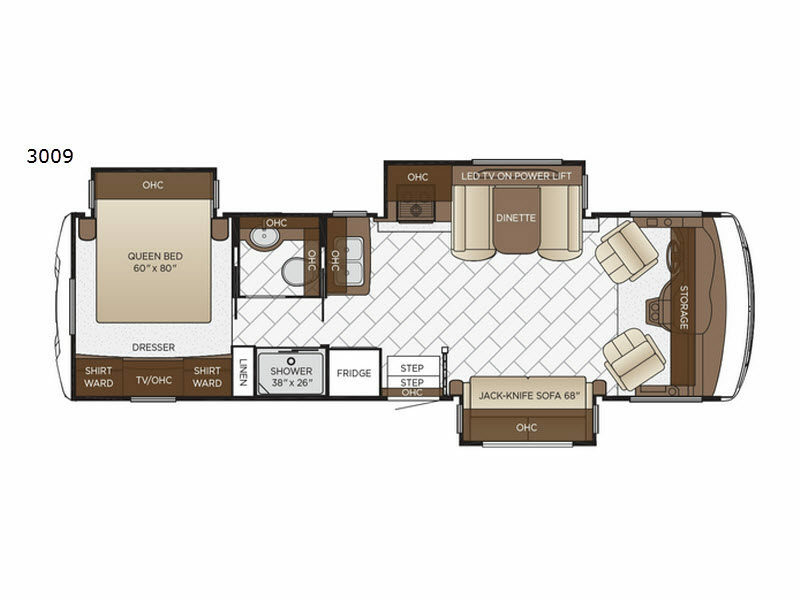 The triple slide outs give you adequate space as you set up camp at a nearby campground or across the state at your favorite camping spot with this Bay Star 3009 class A motor home. Enjoy visiting with your family in the spacious living area. Here you will find a 68" jack-knife sofa and across the room there is a dinette where you can enjoy your meals. Both the sofa and the dinette easily convert into additional sleeping space, if needed! The walk-through bathroom features a private toilet area plus a 38" x 25" shower and extra storage with the linen cabinet!